“He is one of our most coveted players but it is not true that’s he’s going to one club or another. It depends on how consistent he will be this year. If he’s not going to play well, he’ll stay with us for another year. It depends on him, on this season performances, on his form. In this moment there is no Manea signed contract agreement”. 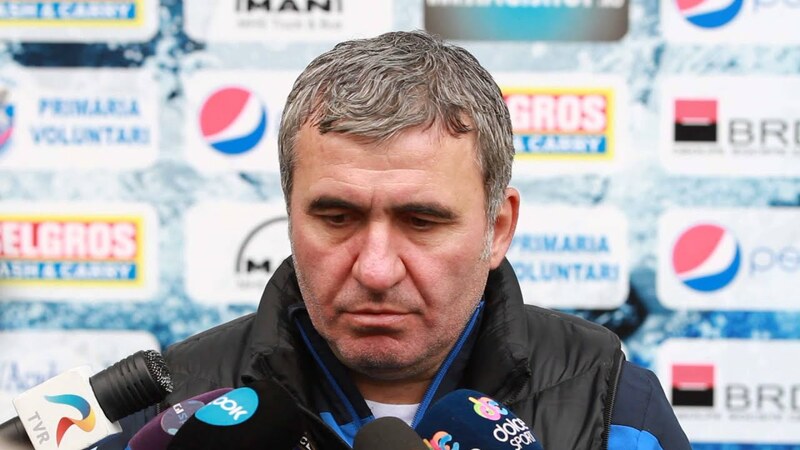 It was September 13, 2014 and Gheorghe Hagi (former Romanian football star, and now manager and owner of FC Viitorul Constanța) made the above statement at the press conference following a league game between Ceahlaul and Viitorul. The subject of the statement was Cristian Manea, who was rumoured to be moving to the west. What the journalists didn’t know back then—and Hagi hid it so well—was the fact that Manea had already been sold, three months earlier, in June. The Romanian media reported that the player had been sold to Chelsea, but in fact the club that had purchased his rights was Apollon Limassol. The Manea affair offers a glimpse into a hidden world filled with offshore companies, tax heavens, players agents with connections, secret services top brass, and absurd contracts. Cristian Manea, who is currently officially registered at Royal Mouscron-Péruwelz, is one of the most talented players of Romanian football. Royal Mouscron are second from the bottom in the Belgium Jupiler Pro League, and the experience of Manea’s first season abroad has been hindered a lack of games. Until now, he played only three league games, all of which his club lost, and two Cup matches. The total playing time of 322 minutes is small change for a player who apparently came from Chelsea to a league where he needs to mature. June 20 2015, Hagi, once again live on Dolce Sport: “Cristi Manea has a very good chance to be transferred this summer. You’ll soon find out where exactly. He’ll play for a good team”. All these pieces of information and quotes had an impact on international media. On of September 20, 2014, then again in March and June 2015, respected journalists from Reuters, Independent, L’Equipe and Gazzetta dello Sport published the news that Chelsea agreed to a transfer for Viitorul Constanța right back, Cristian Manea. All over Europe, Manea was already considered a Chelsea player. He was even included in Chelsea’s squad by the makers of Football Manager 16. The fees that were cited, however, differed. Some journalists wrote £2.3 million, others £3.2 million. No one ever denied the “Chelsea transfer” even though Hagi had not once mentioned Chelsea’s name. In Belgium, the situation was the same. The most important transfer in Viitorul’s short history (the club had been established in 2009) was bizarrely not even announced on the club official website www.academiahagi.tv. 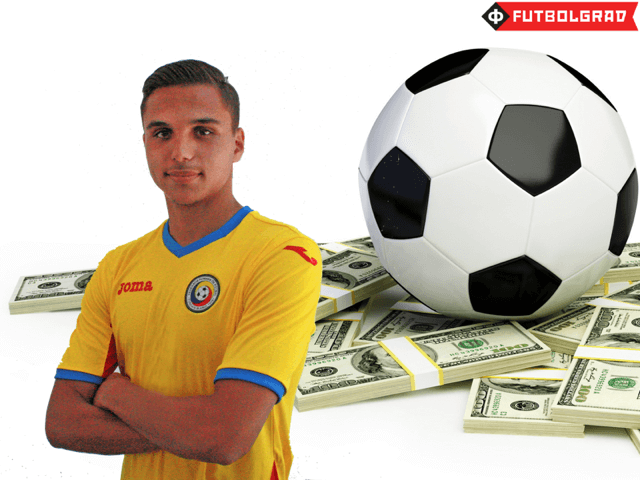 The Viitorul press department had previously made public even the least significant transfers, such as Putanu’s loan deal to lower tier FC Brasov. It all finally became clear today: Viitorul did not want to announce that their most well known player had been sold one year ago to… Cyprus. On August 28, 2015, Manea was officially unveiled at La Cannonier, Mouscron training ground based two kilometers away from the French border, on the road from Kortrijk to Lille. Three days later, Mouscron official website formally informed fans about the Romanian player loan deal. 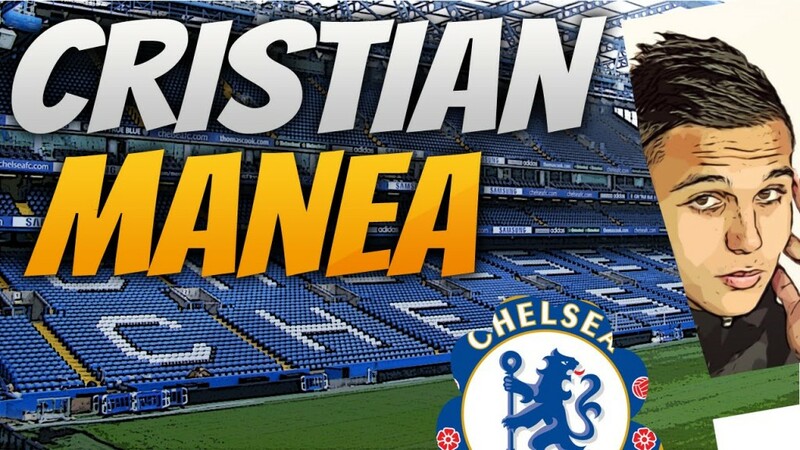 The piece of news is still there, at www.rmp-foot.be, and it says: “Manea was loaned from Chelsea for one season and he’s one the hottest prospects in the Romanian football”. Meanwhile, on Chelsea’s official website, the transfer from Viitorul doesn’t exist. The Romanian right back is not even on the list of the away-from-Stamford Bridge loaned players. According to the transfer documents that ProSport had access to, the official information published by Mouscron is simply not true. In June 2014, one year before the loan deal to Mouscron, Gheorghe Hagi had signed a contract whereby he sold the 17 year old defender to Apollon Limassol, the team that had finished second in the Cypriot first league the season before. The transfer fee was €2.5 million, and the company that agreed to pay the money is Apollon Football (Public) Limited. Viitorul opted against keeping any percentage from an eventual future transfer. On Manea’s part, the contract was signed by his parents. The player was a minor at that time. He stayed at Viitorul for one more season. Apollon is a club from Cyprus with recent Romanian links. Since 2011, Mihai Stoichita and Ioan Andone were Apollon coaches. Nicolae Grigore, Ștefan Grigorie, Romeo Surdu and Ovidiu Dănănae also played for the Limassol club but Manea’s transfer is unusual. The player, who grew up at Hagi’s Academy, is a hot prospect, whereas the others are more experienced players looking for a better living away from the Romanian Liga 1. ProSport contacted Nicos Kirzis, the president of the Cypriot club where Manea never played a single game since being transferred to the club the 20 months ago. The discussion on the future of the Romanian player started and ended in the same cautious tone. “Yes, we loaned Manea to Mouscron. What do you want to know?”, confirmed Kirzis. Reporter: What’s his future at Apollon? Kirzis: “We don’t know if he’s coming back to us. It is too soon to say. If we find out something, we will announce it to you. For the moment we don’t know nothing. Kirzis: “Yes, it might sound unusual to come to Cyprus and anyway he’s not playing in Cyprus. For the moment I cannot tell you more. Then, with excessive politeness, he thanked for the call and hung up. Not even diehard Apollon fans know that Nicos Kirzis is, on paper, the owner of some of the most talented players in the Balkans. Apollon is an owner of wunderkinds that are coveted by the best managers in the world. For example, the club also held the majority rights to the Serbian striker Luka Jović, who was recently sold from Red Star to Benfica Lisbon, and is also key to the conflict between Partizan Belgrade and Andrija Živković. How is this possible for a small club from Cyprus? In theory, for Viitorul—even if Manea signed for Apollon instead of Chelsea—the transfer is legal. Hagi sold a talented player and got €2.5 million from a Cypriot company. Nobody should have reason to avoid a journalist’s questions regarding this. Why is such an ordinay deal producing these reactions? ProSport discussed the deal with investigative journalists from England, Italy, Belgium and Israel, and discovered that, after he was transferred to Apollon, Manea became a part of a hidden network that was created in order to circumvent the FIFA rules regarding Third Party Ownership (TPO). TPO is a practice that FIFA has been fighting for years only to have it worringly expand in a sport that sees transfer fees multiply every year. According to the FIFA, the rules that come into force on May 1, 2015, “no club or player shall enter into an agreement with a third party whereby a third party is being entitled to participate, either in full or in part, in compensation payable in relation to the future transfer of a player from one club to another, or is being assigned any rights in relation to a future transfer”. Manea was sold to Apollon in 2014, 11 months before the ban came into force. This makes Hagi’s secrecy even more curious. The young defender is now the property of an investment fund which places football players all around the world by having them officially sign to host clubs, which are in turn controlled by player agents. 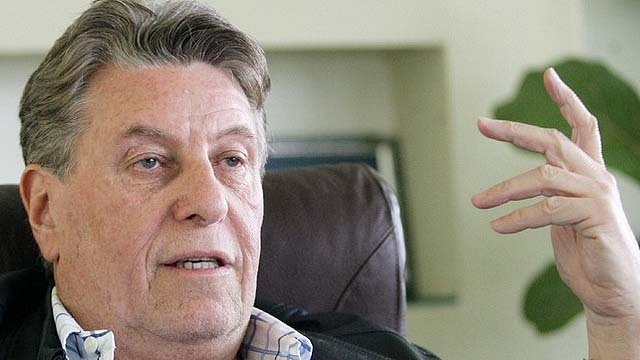 Apollon Limassol and Mouscron are two clubs that are controlled by Israeli super agent, Pinhas “Pini” Zahavi. Zahavi is also known as “Mister Fix It”, and even FC Barcelona’s superstar, Neymar, is one of his clients. In their dealings with clubs from almost every continent, Zahavi and his associates are careful to ensure that no third party appears in the player contracts. This way the TPO rule is not violated. Sources from Romanian football claim that, during the summer of 2015, Hagi had a row with Manea’s agent, the Italian Pietro Chiodi. The player didn’t go to Antalya for Viitorul’s summer training camp and was waiting anxiously to see where his future was going to be. Hagi was unhappy at the prospect of Manea playing for Apollon. This is the same Hagi who signed the transfer papers with the Cypriot company, Apollon Football (Public) Ltd. Agent Chiodi is the godson of Victor Becali and the man who Ioan and Victor Becali put in charge of their business. The agent-brothers are, at this time, in jail following their conviction on March 4, 2014 following a case involving the fraudulent transfer of Romanian players abroad through tax heavens companies. Gheorghe Popescu, the former Barcelona captain and one of the most well known players they had under contract, was in jail with them. He had been convicted in the same case, only to be paroled in November 2015. Ioan and Victor Becali know Pini Zahavi from the 1990s, according to many sources from Romanian football. ProSport called Chiodi and put to him a single question: Where was Manea transferred? Chelsea or Apollon? On his official Facebook account, the player himself says he’s a Chelsea player. What did the agent answer? Now lets talk now about the man considered to be behind the deal. The 73-year-old Zahavi was once the most influential players’ agent in the world and, even now, he is still considered the second most influential agent after the Portuguese Jorge Mendes. But they are not rivals; Zahavi and Mendes have even joined forces in order to open new markets for each other, and they share marketplaces. According to the Guardian, Pini Zahavi’s wealth was estimated at £65 million back in 2006. Since then, the super agent has completed thousands of additional transfers, and his wealth has increased. Zahavi, a former sports journalist from Tel Aviv, has been involved in several controversial transfers—examples include the deals that involved Rio Ferdinand, Juan Sebastián Verón, Carlos Tevez or Javier Mascherano. He is also well connected with countless politicians, global companies’ CEOs, and even secret services directors, such as his former associate from Argentina, agent Gustavo Hector Arribas. Zahavi also has good connections in the world of the Russian oligarchs with Jewish origins: Zahavi is the one who introduced Roman Abramovich to football. It is through Abramovich that Zahavi was able to say that Manea is officially a Chelsea player, despite the proof that he was sold to an offshore company located in Cyprus. For the moment, the player groomed by Hagi is the property of a Cypriot club and he plays for a Belgian club, two turntables between the feeder clubs and the giant clubs. A former player agent himself, Nicos Kirzis is considered a puppet of Pini Zahavi. At the Royal Mouscron board you can find two Zahavis, Adar and Gil, no doubt relatives of the super agent. Back in July 2015, Zahavi saved the Belgian club from bankruptcy, when the Israeli injected €2.5 million with the promise of a further €6 million invested over the next three seasons. 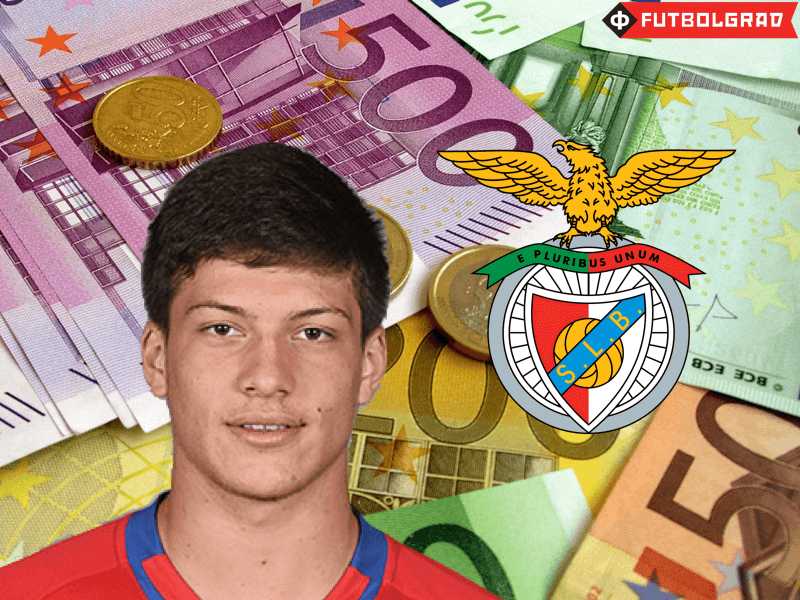 Like another young Romanian player, Cristian Ponde from Sporting Lisbon, Manea is just a name on a long list of footballers who were caught in a web of clubs, companies, and investment funds. 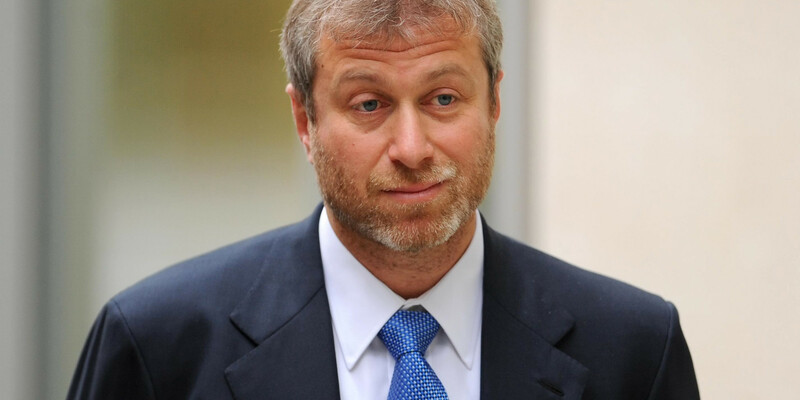 According to sources from Viitorul, somewhere at the thread’s end Roman Abramovich could be a partner of Zahavi and Mendes in this huge network. P.S. – The day after this story was published by ProSport, Hagi appeared on a sports television program in Romania. ProSport reporters asked DigiSport Special host Vali Moraru to forward three questions to Viitorul owner. Do you personally know Pini Zahavi? Did you ever receive financial help from investment funds in exchange for your players’ economical rights? At this moment, Hagi got nervous. After 6 seconds of awkward silence, he said: “These are my club internal matters which can be better understand if you are inside the club. I cannot tell you if I have a deal with someone or I don’t have”. Who was the intermediary for Manea’s transfer? “It was Pietro”, Hagi said. Pietro Chiodi, a former Olimpico stadium administrator in Rome, has very good connections in the Italian football. He works with clubs like Fiorentina and AS Rome which – according to Italian journalists – have positive relationships with Pini Zahavi. Hagi’s son, Ianis, was allegedly sold to Fiorentina in the summer of 2015 but the deal is not recorded on the Lega Seria A official website. Ianis Hagi’s transfer closely resembles Manea’s deal. But this a story for another day.